B&W ws to practise past simple and present simple tense. 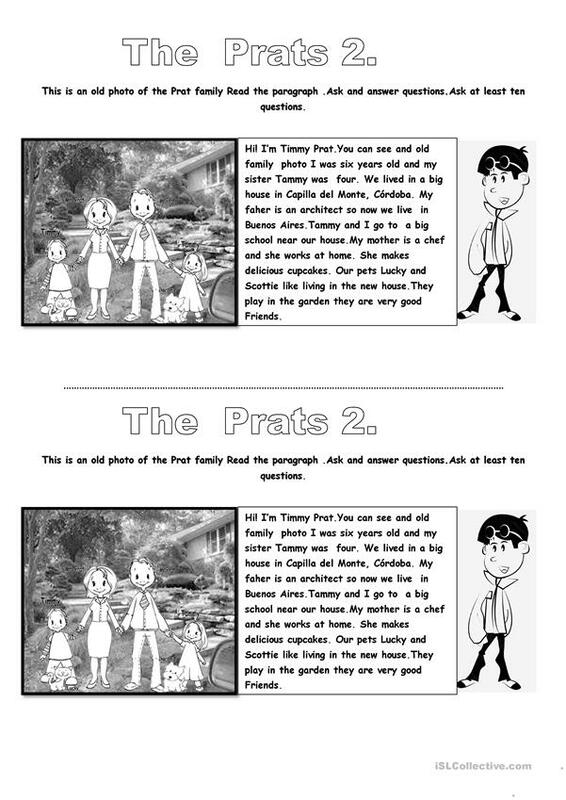 Students have to ask and answer questions.They have to describe and old photo of the Prat family.Family, clothes & oets vocabulary. This printable, downloadable handout is best suited for high school students, elementary school students and students with special educational needs, learning difficulties, e.g. dyslexia at Beginner (pre-A1), Elementary (A1) and Pre-intermediate (A2) level. It is excellent for working on your pupils' Speaking, Reading and Writing skills.